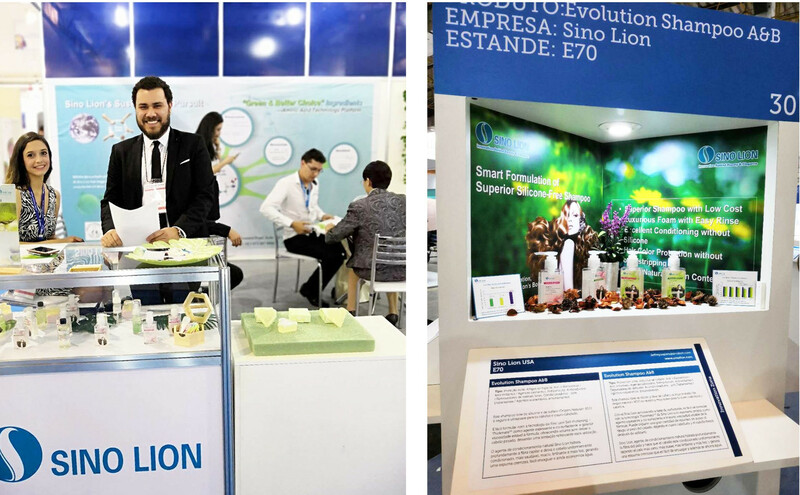 From September 19th to 20th, 2018, In-cosmeitcs Latin America was held at the São Paulo Expo in Sao Paulo, Brazil. In 2016, the market value of Brazil has reached 60 billion US dollars. According to ABIPHEC, by 2020, Brazil will become the second largest cosmetic market in the world. As one of the world's leading chemical suppliers , Sino Lion showed its innovational green technology based on amino acid -“silicone-free”. Especially the Evolution and Revolution shampoos displayed in the Innovation Zone attracted a great many of visitors. In addition, Sino Lion launched the amino acid chelating agents EvermildTM MGDA-30 and EvermildTM GLDA-30 for the first time in the Brazilian market. Based on the twelve principles of green chemistry, Sino Lion’s research and development must continue in order to ensure a green and environmentally-friendly life for human beings.